Technical riding up high with lots of narrow flow and a few creek crossings. Multi use trail primarily used by motorcycles and mountain bikes. 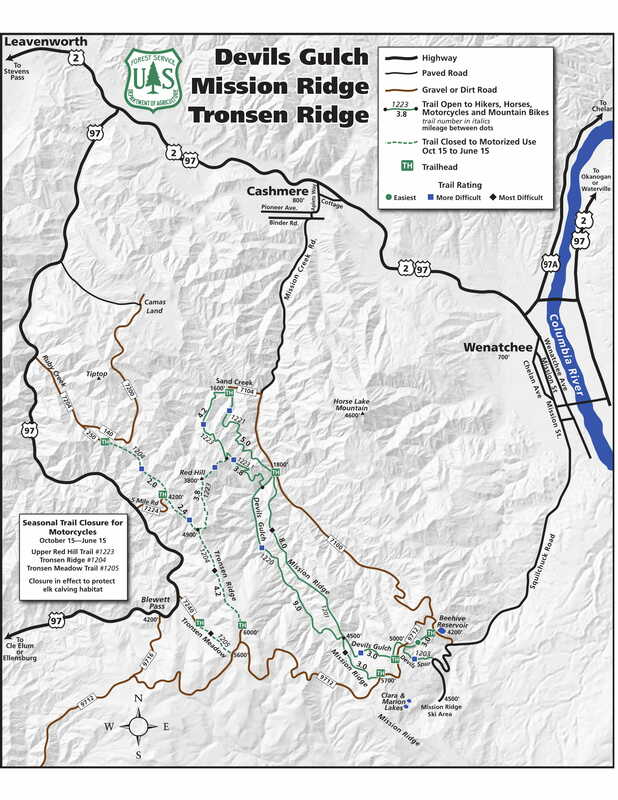 The trail begins at the Devils Gulch Trailhead located 10 miles South of Cashmere on Mission Creek Road #7100. The trail ends at the Upper Devils Gulch Trailhead located on the Liberty-Beehive Road #9712, 4 miles from Beehive Reservoir.